Owned by Casa Farms I, Royal Urn broke his maiden Aug. 24 at Gulfstream Park at first asking under jockey Leonel Reyes. “Florida racing is tough over the summer,” Nihei said. “We're holding our own and have some good horses down there. This was a logical spot to send this horse to try and get back to the Breeders' Cup. Prince Will I Am raced at Churchill Downs five times throughout his 19-race career, most notably crossing the wire second in the Breeders' Cup Marathon (GIII) in 2010 but was disqualified and placed 10th due to interference. Unlike many trainers, Nihei did not grow up on the racetrack and was actually a neuroscientist prior to taking out her trainer's license in 2007. 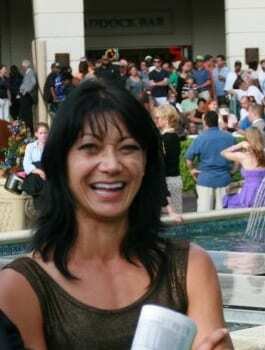 Nihei grew up in Calgary, Alberta, Canada and worked at Johns Hopkins University for nearly five years before she joined the Todd Pletcher stable in 2003 as an exercise rider. The 1 1/16-mile Iroquois, one of four stakes events on the first Saturday of the 11-day September Meet, is the first scoring race on the 2018-19 “Road to the Kentucky Derby” – the series of 35 races that will ultimately determine the field for the 145thrunning of the Kentucky Derby Presented by Woodford Reserve (GI) on Saturday, May 4, 2019. Points awarded to the Top 4 Iroquois finishers will be 10-4-2-1 as part of the 19-race “Prep Season” that showcases foundation-building races in advance of the “Kentucky Derby Championship Series,” which begins in late February. The complete Iroquois field from the rail out (with jockey, trainer, assigned weight and morning line odds): Mr Wrench It(Euclyn Prentice Jr., Coty Davidson, 120 pounds, 30-1); Royal Urn (Reyes, Nihei, 118, 12-1); Drunk as a Skunk (Joe Rocco Jr., Doug Anderson, 118, 30-1); Tight Ten (Ricardo Santana Jr., Steve Asmussen, 118, 2-1); My Sixth Sense (Shaun Bridgmohan, Mark Casse, 118, 10-1); Tobacco Road (Julien Leparoux, Asmussen, 120, 6-1); Pole Setter (Florent Geroux, Brad Cox, 118, 6-1);Cairo Cat (Brian Hernandez Jr., Kenny McPeek, 118, 8-1); Manny Wah (Channing Hill, Wayne Catalano, 118, 8-1); Hog Creek Hustle (Corey Lanerie, Vickie Foley, 118, 10-1); Synthesis (Drayden Van Dyke, Keith Desormeaux, 118, 12-1); and Everfast(Robby Albarado, Dale Romans, 118, 12-1). This entry was posted in Breeders' Cup and tagged churchill downs, Iroquois Stakes, Michelle Nihei, Royal Um by Press Release. Bookmark the permalink.